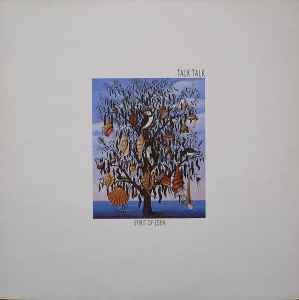 The 4th Talk Talk album, released in September 1988. Beautiful, clean very quiet edition. Great remaster. Just bought it sealed. Must be unlucky with the pressing I got bc it's very noisy. Loads of pops and tics. I've got both Colour of Spring and It's my life, and they are both excellent. So bit surprised to find this pressing to be the opposite. Brilliant Album though. Can't praise Parlophone enough on this one. Once again they did a tremendous job. Like 2014's "Colour of Spring", this reissue also has immaculate sound quality, simply stunning. Expansive, full, dynamic sound with excellent clarity and separation; all audiophile adjectives you can enumerate aren't sufficient to rate the quality of this pressing. Absolute silent with no pops, clicks, etc, which is a must for this delicate record. Trust me, a real treat to your ears. Even the CD goes directly into my top 10 sound wise, plus you have the song John Cope as a nice bonus. Can't compare with the original pressing but I doubt it can outmatch this one. Buy with 100% confidence. This is a superb release. Very high quality audio and on the "right" system... spellbinding. I finally found this at a local shop for $31, this was one of my most hunted records as it is one of my absolute favorites. Not only that, Side B ends on a locked noisy grove. WTF?! Can please someone tell me, if you know: is the quality of audio recording on vinyl and dvd the same (I mean, original source)? Because it said that audio on dvd is described as 96khz/24bit Hi-res, but in reality it is a kind of "up-convert". And I'm afraid that there is the same "up-convert" on vinyl. Thanks! A great pressing. A treat to get the DVD as well. AND John Cope to boot. Brilliant release.